Click on pictures for details!!! Looking for an updated 4 bedroom home in Northwest Allen? This may be the one. The interior of this home has been completely gutted. All new kitchen that includes Quartz countertops and new cabinets. Both bathrooms have been remodeled. The house was converted from electric heat to gas forced air and central air. All new duct work was added for the new system. The flooring throughout is new including waterproof vinyl plank on the main level. The main electric panel was replaced and new circuits ran throughout. Overhead lighting was added to all rooms. All outlets and switches were replaced except the basement. Water softener is new. New solid core doors were installed. All new woodwork. Ceilings were Spanish laced. The entire interior was painted. The chimney was tuck pointed, capped, and waterproofed. The basement was waterproofed by previous owner with new interior tile and sump pit added. This beautiful home is located in one of the most amazing areas of Allen County. The neighborhood backs up to cedar creek and nature preserves. 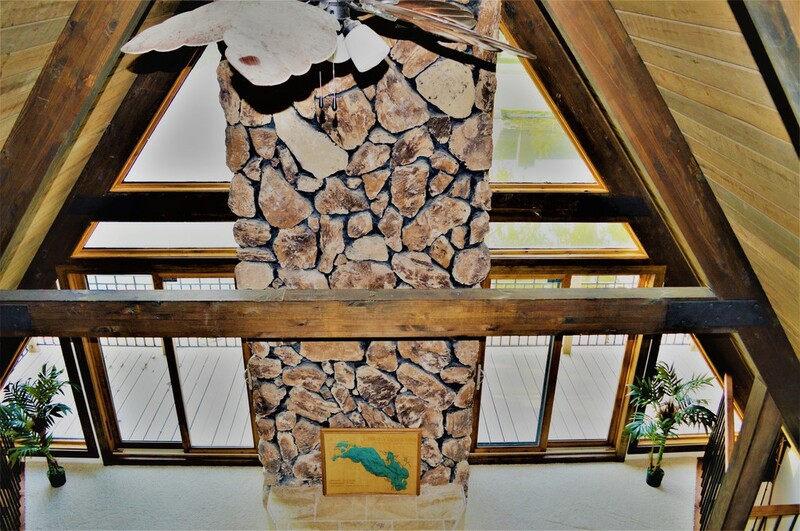 The huge screened in back porch will allow you to enjoy the amazing view of the natural pond. Your drive home will give you the chance to see the large population of deer, turkeys, and many other forms of wildlife. There is also a huge unfinished portion of the basement for storage. There is also a 12 by 14 shed to help keep the clutter out of the garage. New listing in 46845!!! Completely updated home. If you are tired of looking at homes that need work then go ahead and put this one on the list of must see houses. In 2016 the roof, water heater, and furnace were replaced. In 2017 the air conditioning condensing unit was replaced. In 2018 the entire interior of the home received a new coat of paint. That includes the trim and doors. Also in the same year they had the cabinets professionally painted, new stainless appliances installed, and new hardware on the cabinets installed. To make the kitchen even better they replaced the counter tops, faucet, tile backsplash, and added a sliding barn door to cover the laundry area. They didn't stop there. Also in 2017 all the flooring in the kitchen and main living areas was replaced with durable vinyl plank floors. The door handles and all light fixtures were also replaced. The owners also updated the garage with a new overhead door and an opener that works from an app on your phone. 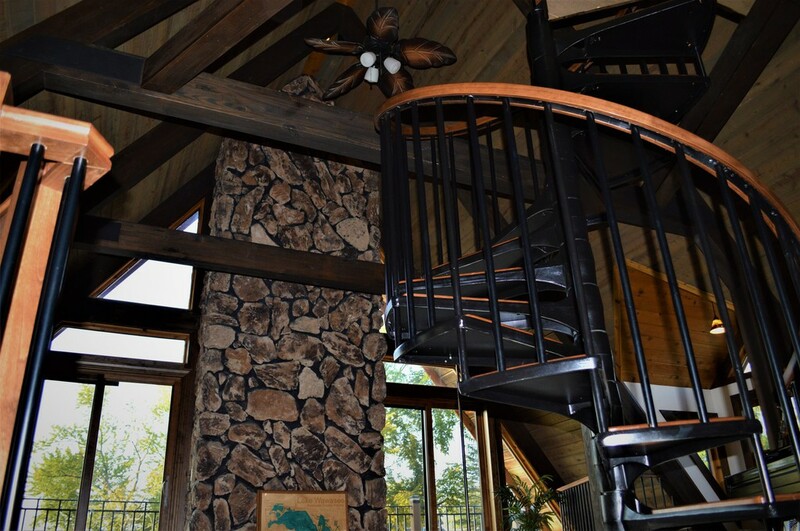 They also replaced all light fixtures and fans on the interior and exterior of the home. The bathrooms are also recently updated to give them a fresh look. So much more that you must see to believe. The outside of this amazing home also has much to offer. First of all you are sitting on over a half acre private lot. The yard backs up to a private park like setting with no neighbors in sight. The new owner is going to love that the home is located just a very short walk to the Parkview YMCA, the award winning Fort Wayne trail system, and great great shopping us just minutes away. The proximity to 469 and 69 is also great. You can be anywhere in Fort Wayne in just minutes. Schedule your private showing today!!!! Welcome to Honeysuckle, a community of ONLY 60 homes with lots size average of 1 acre, located within 20 minutes of Parkview Regional Medical Center. This former "Quality Crafted Homes" showcase was already loaded with numerous upgrades. The current owner added an additional $30,000 in upgrades for a theater room, custom workout room, bonus room, and textured bronze fence. Beautiful master suite with adjoining master bathroom with soaker tub and massive walk in closet. 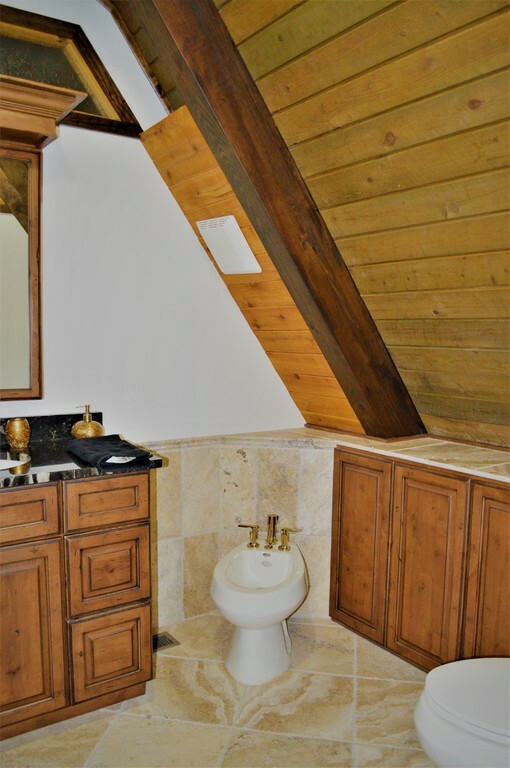 2nd and third bedrooms are joined by a jack n jill bathroom. The 3rd bedroom upgrade includes floor to ceiling bookcases and french doors and is currently used as a den. OPEN CONCEPT living spaces on the MAIN and DAYLIGHT BASEMENT. 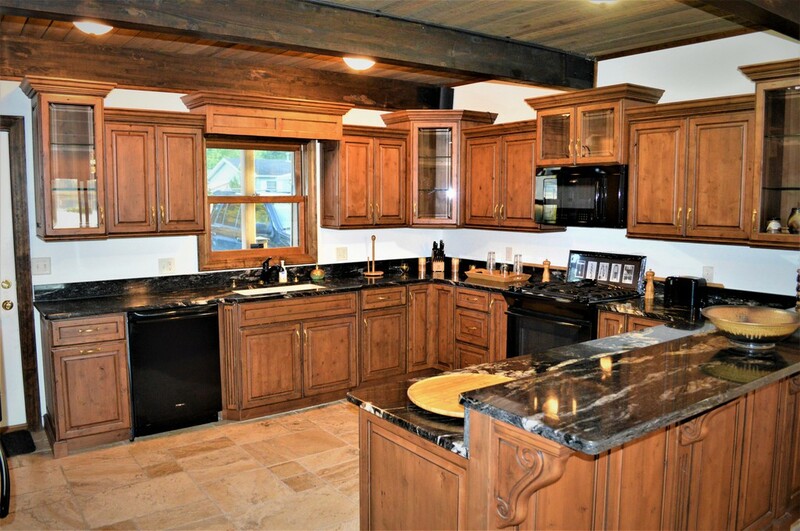 Any cook would love cooking and conversing with family and friends in this gourmet kitchen with granite counter tops and custom Amish cabinetry that connects with great room...the perfect entertaining home. The lower level boosts a theater room, wet bar, in addition to a large family room, and exercise room . 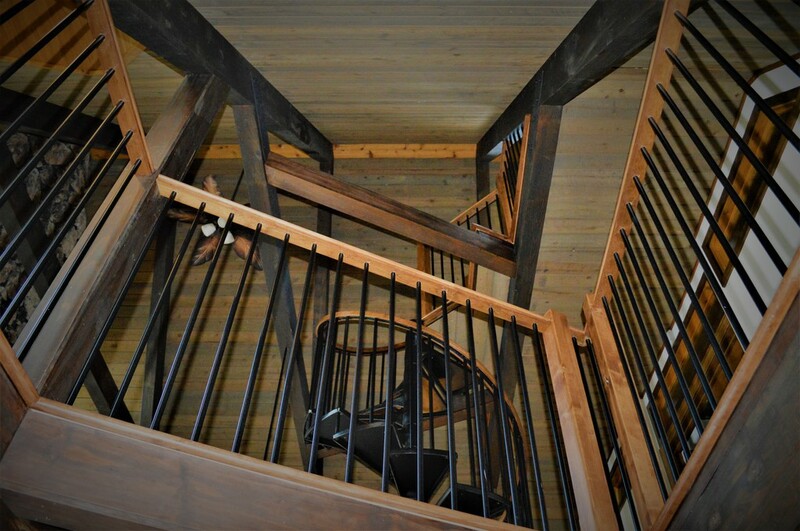 The lower level will accommodate guests or teenagers with a 4th bedroom and full bathroom. NO need to wait on having a dream home built when this showcase home in pristine condition is ready for you!! The home was designed to back up to a common natural grassland that will not be built upon. 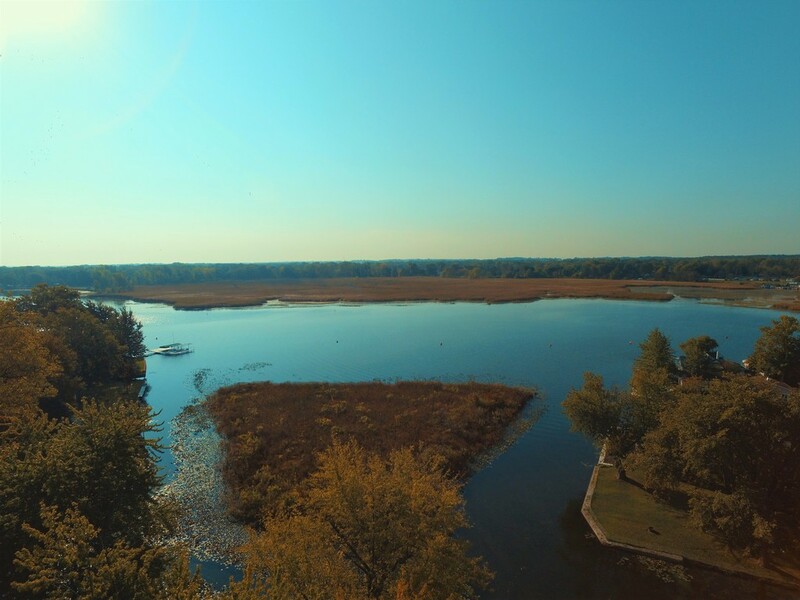 Honeysuckle is surrounded by nature/trees and is the perfect community in which to call home. Come out and take a peek, stopping by the large community gazebo to enjoy the views. Stately 4 bedroom 2 full 2 1/2 bath two story at the corner of Rudisill Blvd. and Tacoma Ave. Living room with gas log fireplace adjoining sun room and dining rooms/ 3 sets of French doors/ hardwood floors/ newer kitchen cabinets/breakfast room/full basement/ newer HVAC system/ maintenance free 16 x 12 deck with retractable awing/ covered open front porch/concrete driveway has been replaced. Electric baseboard heat in sleeping room. Seller offering one year HMS Warranty. Buyer to execute ADR addendum. Title opened with Meridian Title. Measurements taken from previous listing. 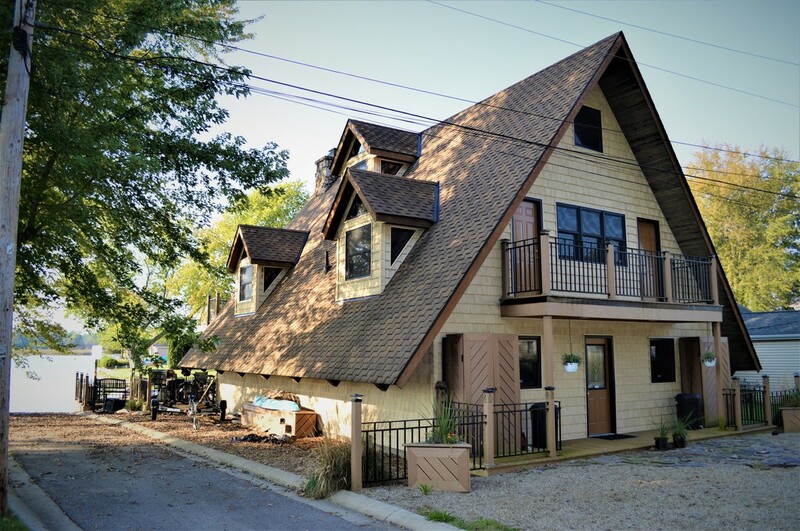 This 3 Br 2 full bath two story has over 2500 square feet under roof! 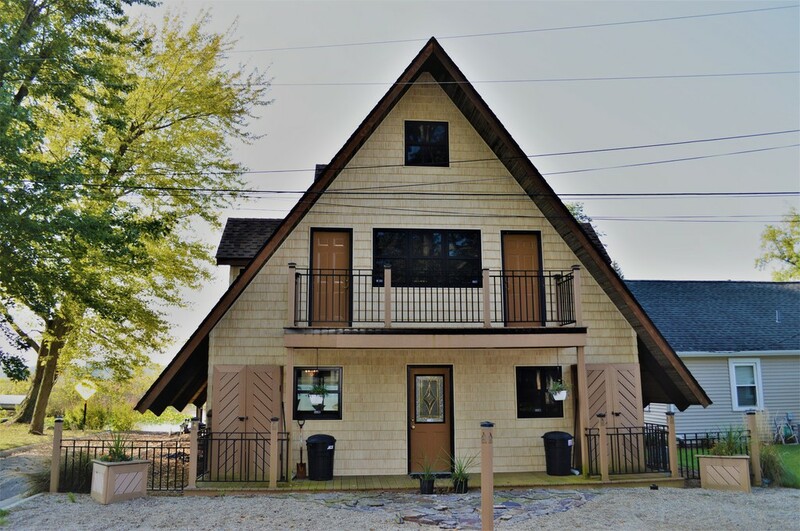 Improvements include: New roof (complete tear off)/new Pella windows/newer vinyl siding/ne carpet and paint/new toilets, sinks, faucets/ newer disposer, dishwasher/refrigerator/doors throughout. New Trane HVAC/new water heater/new Maytag washer/dryer. Heated garage with built in shelving. Many transferable warranties on windows/HVAC/appliances, etc. Basement features two large recreation rooms with built in shelving. 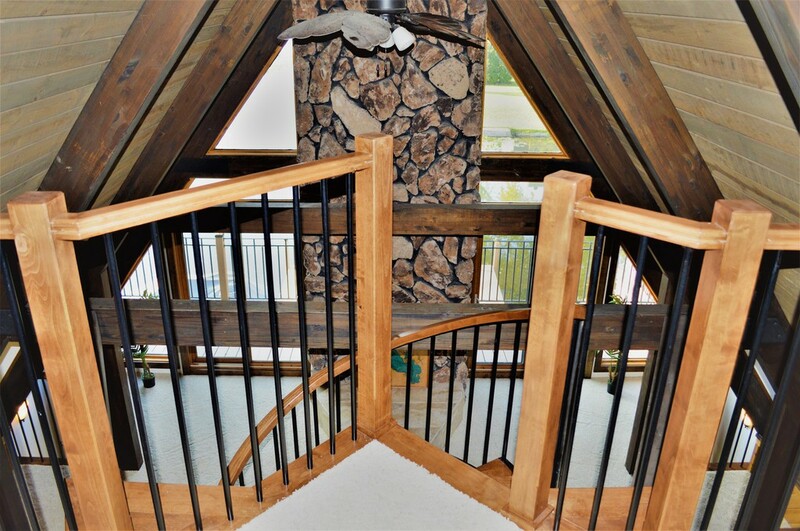 Beautiful three season overlooking multi level decks into private back yard. (See diagram in documents.) Lighted 11x12 shed. Utilities in documents. IMMEDIATE POSSESSION. Seller to provide existing survey only. Buyer to execute ADR/Title opened with Meridian Title Co.
OVER 3000 SF AND 5 BEDROOMS!!! Fantastic new listing!!! Over 3000 finished square feet and 5 bedrooms!!!!! This house has been extensively updated by the current owners. In 2010 the kitchen was gutted, the furnace air conditioning and hot water heater were replaced, and the bathrooms remodeled. To get it ready for sale the owners have painted some rooms, replaced all the carpet, and landscaped the yard. This is one amazing home. It is very close to the award winning Fort Wayne Trail System, Parkview YMCA, fine dining, and the 469 69 interchange. The back of the home is a common area. The best part of that is more yard without the mowing. Being on a Cul-de-sac means no traffic and a private back yard. The three car garage has build in shelving units and plenty of attic storage. Schedule your private showing today!!! Fantastic new listing!!! NWACS with over 2 acres of land. This is your chance to get into the school system you have been wanting at a price you can afford. This beautiful old farm house could be yours all with 0 down USDA financing! 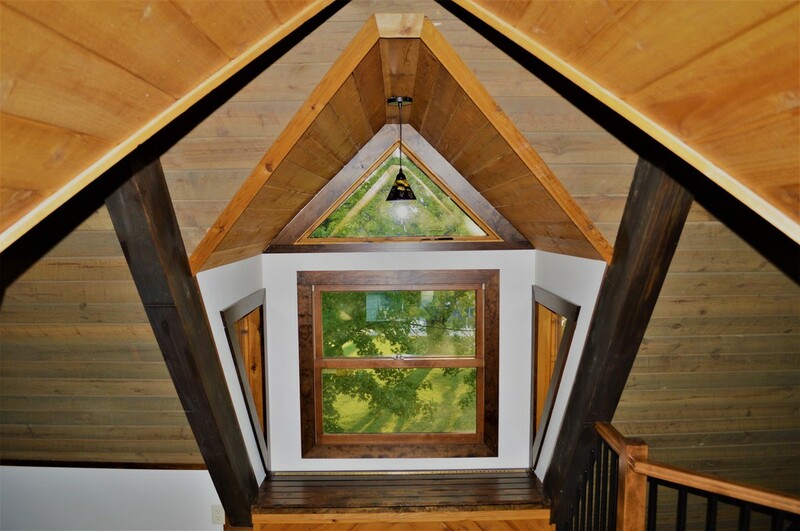 This home is loaded with natural woodwork and beautiful craftsmanship not found with modern builders. Set up your showing today. Currently no exemptions filed. Taxes will go down for the new buyer. Fantastic new listing in Northwest Allen County school system. This could be the one you have been waiting for. Located near award winning Fort Wayne Trail System, Parkview Regional Medical Center, shopping, fine dining, and just a short drive to 69/469. It really is the perfect location. No need to worry about the roof or HVAC system since both have been recently replaced along with the grinder pump, sump pump, and battery backup system. 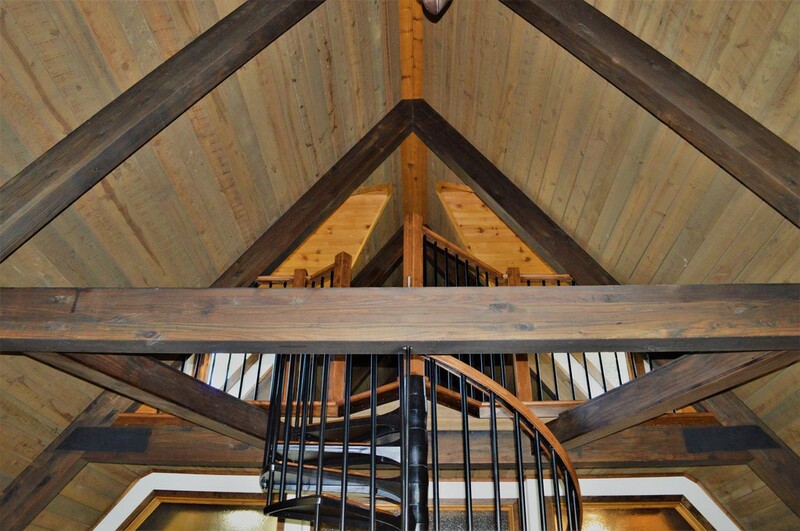 This amazing home also features hardwood floors and a gas log fireplace in the great room. If you are looking for home with abundant storage then look no further. 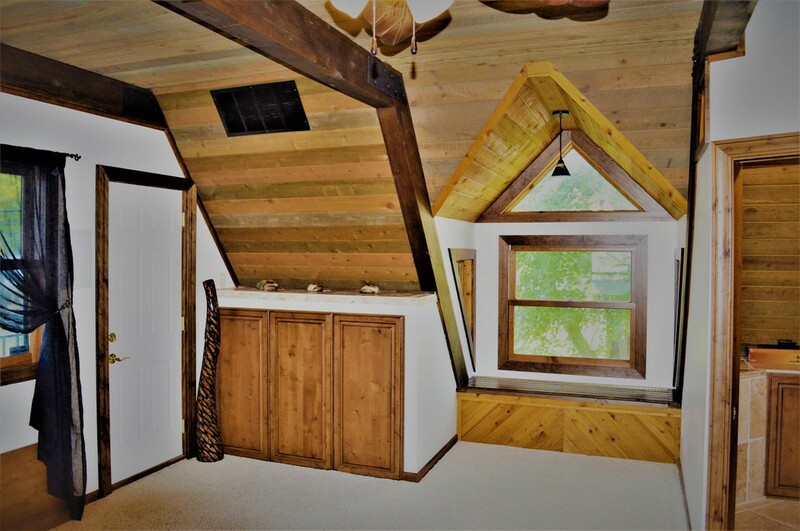 If you can't find enough room in the attic that is accessible from a upstairs entrance then just use one of the two large storage areas in the basement. Yes this one also has a full basement equipped with a wet bar and a large entertainment area. If that isn't enough then how about a great back yard that backs up to a large common area? This amazing home has that also!!! If you think this one just might work then set up your showing today!!! A property as amazing as this rarely comes on the market. 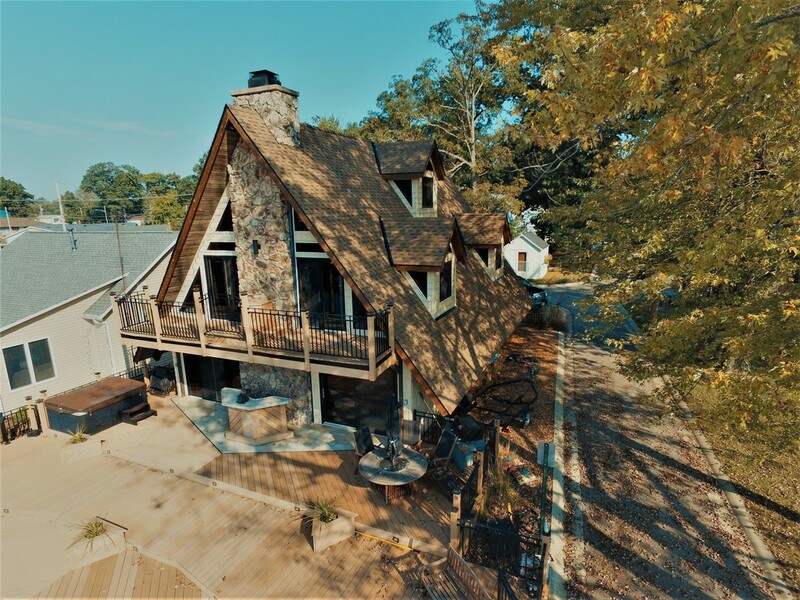 This custom built Zuber home includes over 2.7 acres, a full finished basement, pole barn, stocked pond, and an amazing above ground pool. The house has many updates including paint, new stainless appliances in the kitchen, and the basement has all new ceramic wood plank flooring. The large eat in kitchen has tons of counter space and plenty of storage. The walk in closets are enormous and are fitted with professional grade organizers to keep things where they go. The home also features tons of pocket doors to maximize the use of space. The well is a constant velocity unit for great water pressure no matter how much water you are using. The spacious master and basement entertaining area are both wired for surround sound. The basement includes a great bar/kitchenette area that is a must for large gatherings. Also a great addition is the very energy efficient geothermal heating and cooling system. This will help keep the bills low in the winter and summer. The previous owner had tons of professional landscaping done that makes the property look amazing. The pole barn is 40 by 64, features cement floors, and is the ultimate storage space. The pond is fully stocked with several species of fish and has a windmill for aeration. Put this one on your list of must see houses!!! Fantastic new listing in Perry Lake Estates! This amazing property has it all. This 4 bed 3 full bath home also includes a full walk out basement. What would be better than walking out to the in-ground heated pool? Maybe if the yard backed up to a private nature area with walking trails. Just the perfect outdoor oasis! On the inside this home has an extensive trim package, hardwood floors, 2 fireplaces, and a wet bar for entertaining! The large eat in kitchen, 3 car garage, and spacious master suite also add to the appeal of this beautiful home. 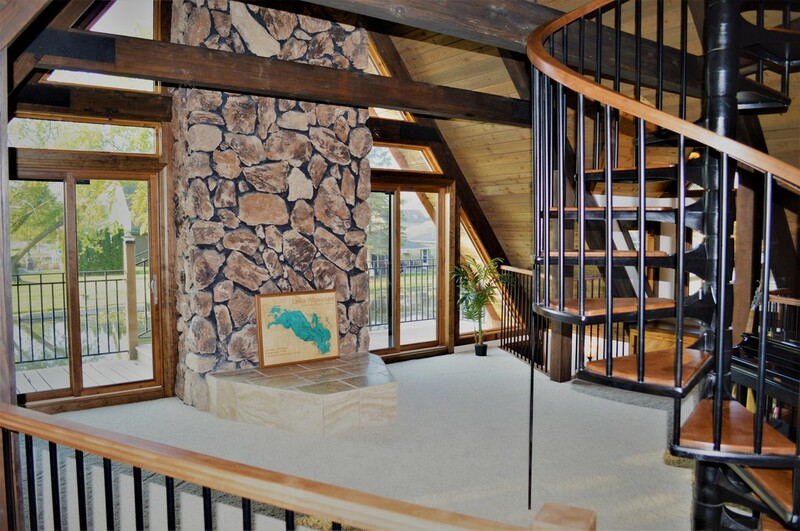 This entire property is just stunning and must be seen to be fully appreciated. Schedule your showing today! Fantastic new listing. This one is a must see. It has a private 1 acre lot, full basement, basketball court, and an open concept floor plan. Some of the upgrades are the large kitchen island, built in double oven, dual water heaters, and built in speaker system. You will never run out of storage space in this one. If you fill the basement the owners designed it to have upstairs access to storage above the garage. The owners were very attentive to every detail when designing this home. The positioning of the screen porch allows for total privacy in the spacious back yard. No need to worry about neighbors to the back because it is nothing but endless farm fields. The daylight basement is perfect for those extra large gatherings where you need the extra entertainment area. The garage is enormous and contains tall ceilings for extra storage area. Set up your showing today to see this amazing home in person. Fantastic new listing in SWACS!!! Desirable corner lot with large fenced in back yard. Homeowners recently added a stamped patio in the back and updated flooring in the home. The water heater was just replaced also. This home has been well taken care of and offers an open floor plan that is great for entertaining. The split bedroom floor plan and spacious master suite are also nice compliments to this great home. 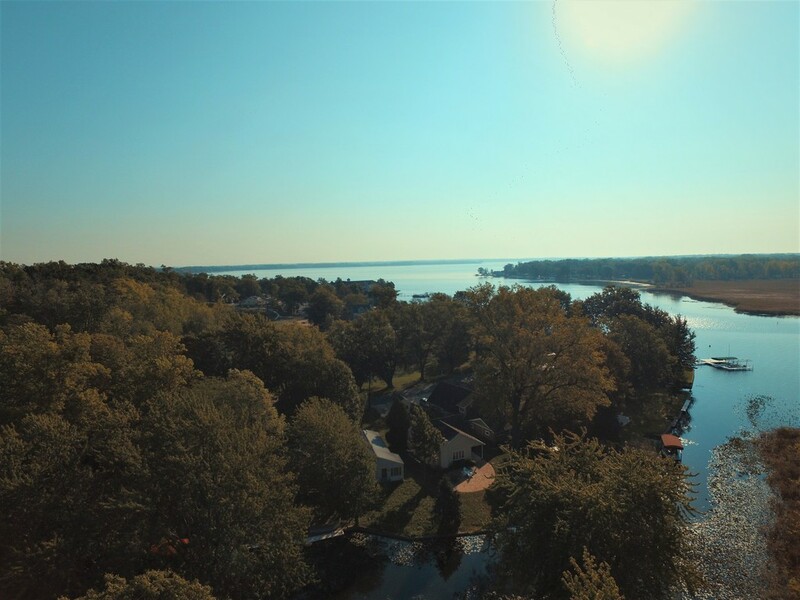 This neighborhood offers a little country feel while still being close to shopping, great dining options, and the Fort Wayne Trail System. Schedule your showing today. This may be the one you have been looking for! Updates include a new roof in 2014, brand new carpet throughout, and the entire inside of this home just received a fresh coat of paint. Everyone will love the oversized garage. Plenty of room to park 2 cars and still have room for the lawn equipment. The large great room with fireplace is great for entertaining. If an enormous yard is your thing this is for sure the one for you. At just a little over a half acre you have plenty of room for whatever outdoor activities you may want to do. 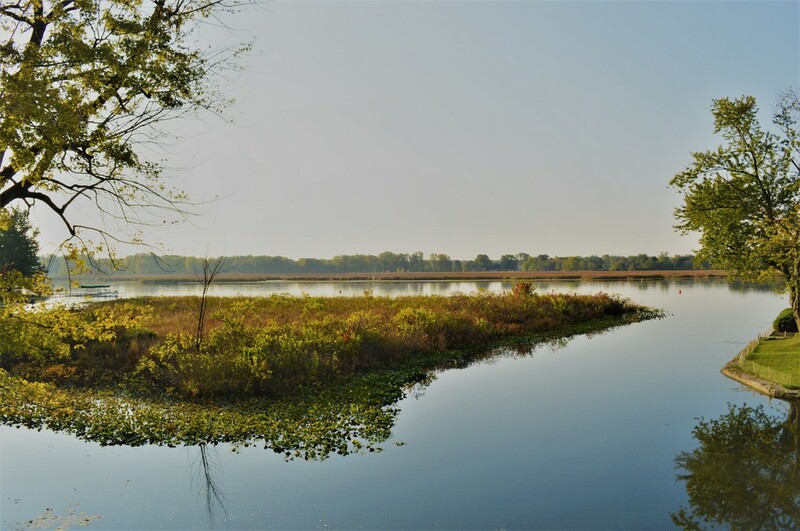 Its also just a short ride from the award winning Fort Wayne Trail System that will take you about anywhere you want to go. Schedule your showing before this one is gone. 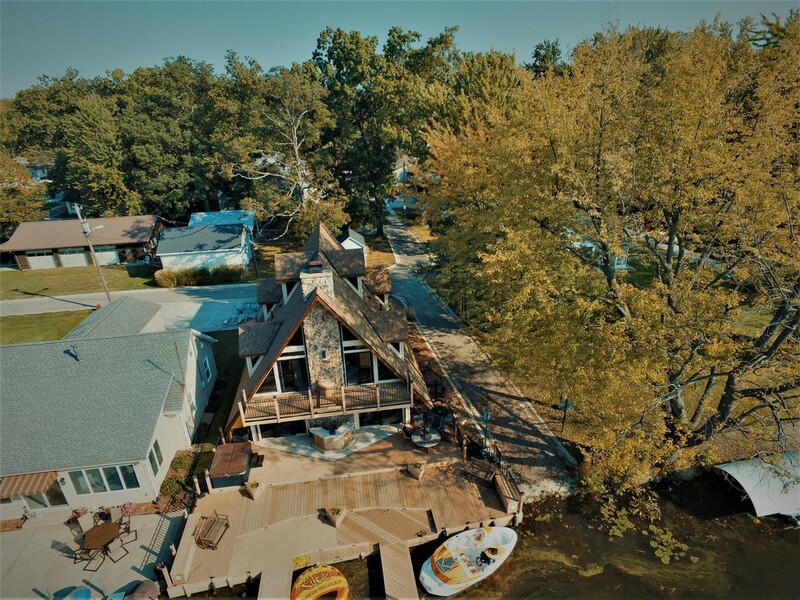 This is a once in a lifetime chance to own a unique property on beautiful Lake Wawasee. This home was purchased in 2010 and completely gutted inside and out. Over $400,000 was invested in the remodel. Six dormers were added to let in that beautiful sunshine and add to the amazing detail of this already beautiful home. All doors and windows were replaced with low e and tinted glass. Lifetime warranty GAF grand sequoia shake shingles were added to the roof. On the exterior of the home the owner used vinyl shake shingles that are both durable and maintenance free. 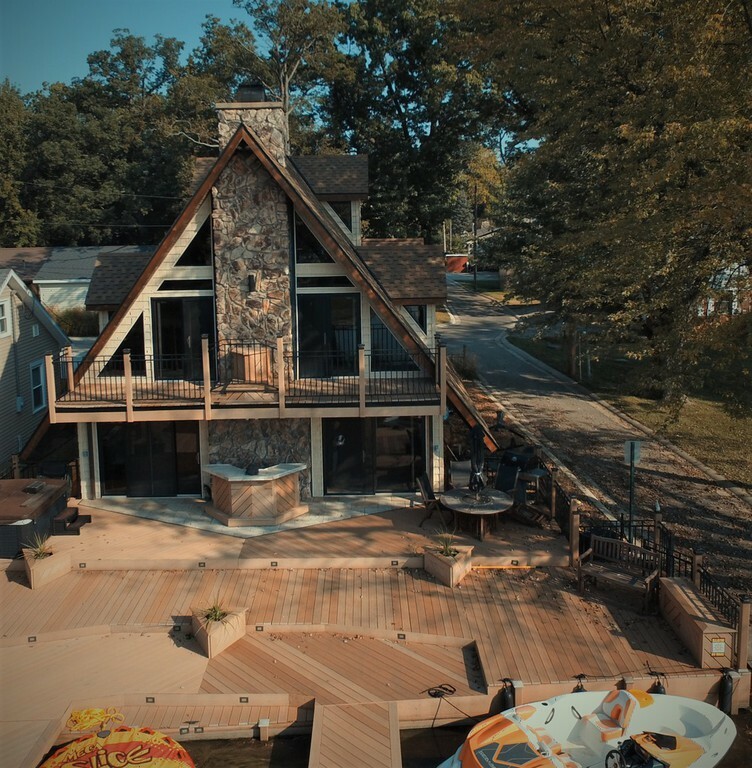 The decks, docks, and balcony were all constructed with composite materials. The interior was completely re wired and re plumbed. All new mechanicals, including dual gas, on-demand hot water heaters. Travertine flooring covers the majority of the main level and extends outside to the front patio area. The entire home was redesigned for optimal entertaining space and usability. 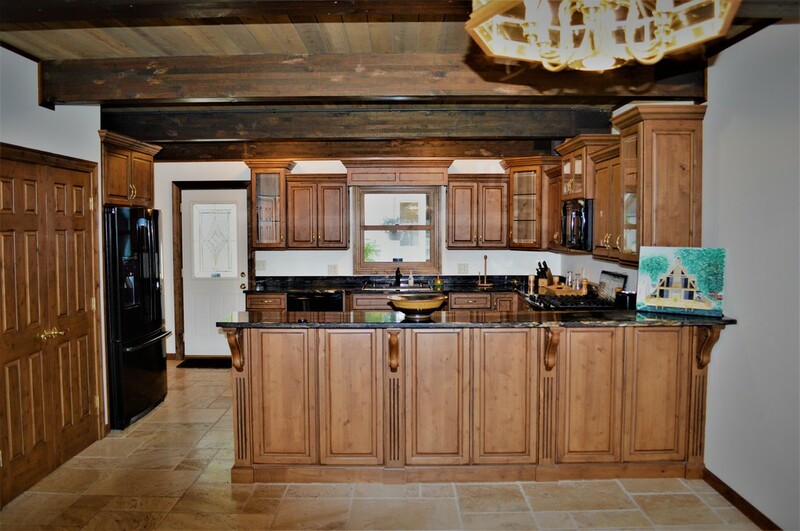 No expense was spared from the custom cabinetry to the beautiful granite throughout. Spend the cold nights relaxing by the fire in the floor to ceiling fireplace. This is not your typical channel lot. Very wide to accommodate the SS Lillypad II that sails from the Frog Tavern right down the channel. You also have unobstructed lake views right off the patio and deck areas. The trip from pier to full speed area of the lake is within sight of the launch area. Storage is not an issue with this stunner. The new price includes the back lot with a 27 x 47ft 3 car garage. It also has a side port for covered boat storage. This unit has gas, water, electricity, and sewer hooked to it. The possibilities are endless. Furnace goes with but the seller does not know if it works. The only way to truly see the detail of this home is to see it in person. Have your realtor schedule a showing today!!!!! Charming home that is move in ready. The work has already been done. Recent renovations include new siding, soffit, paint, newer flooring, roof, and driveway. The drive also includes a turn around so you don't have to back out into the street. This home has been well taken care of. This would make someone the perfect starter or retirement home. It is also close to shopping, dining, and the Fort Wayne trail system. Schedule your showing today! Fantastic and affordable home in Northwest Allen County school system. This 3 bedroom 1 full bath home sits on a full unfinished basement. The house features ample parking and a huge detached garage with a wood burning unit that stays. The fenced in back yard is great for entertaining and pets. Just minutes from the park and walking trails. A new section of the Fort Wayne trail system is currently under construction and will have a trail head right down the road. Huntertown is a great community and the location also makes it eligible for the USDA program of 0 down financing if you qualify. Schedule a showing while this one is still available. Click picture for details! Hard to find 4 BR 2 1/2 bath ranch with master bedroom en suite on one acre wooded lot. New roof on back side of home to be installed by 10/1/17. Furnace serviced Sept 2017. Newer carpet/paint/replacement Andersen windows with LR bay window/ all appliances including garage freezer as is/ work bench and shelving in garage to remain/ gas stove top not working/ existing survey only/HMS warranty/title opened at Meridian Title. Buyer to execute ADR. Click picture for details. This is the one you have been waiting for. Fantastic listing in Southwest Allen County School system. Not only that but this house actually has tons of character!!!. From the arched doorways to the daylight windows in the elevated roof line this 3 bedroom 2 full bath is sure to impress. 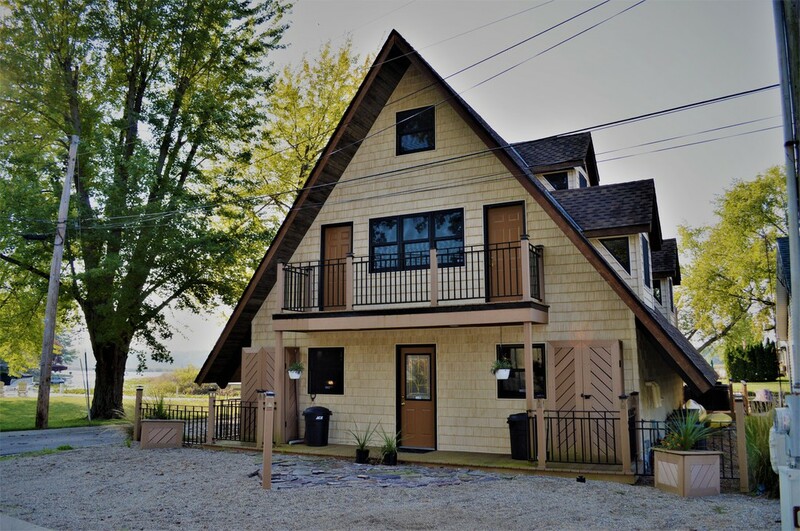 Some of the updates included the almost brand new high end kitchen appliances, a reconfigured kitchen, updated flooring through most of the house, and the water heater that was recently installed. One of the best features is the proximity to the Fort Wayne trail system. With just a short bike ride you can be at the YMCA, a park, or many other cool locations along the path. Don't worry about the extra cost of adding a privacy fence because its already done for you. Not to mention this large lot leaves plenty of room for recreation. Adding to this house is the fact it is on a dead end street so you rarely have any traffic on it. Make sure to put this one on the list. You wont be disappointed. Click picture for details. About as good as it gets! Over 2000sf ranch in NWAC school system. Did I mention it's on a pond and cul-de-sac lot? This one is a must see. The pride in ownership really shows through with this amazing home. The 10 ft ceilings in the main living area really open it up. Meticulously maintained home with bi-annual inspections on the HVAC. 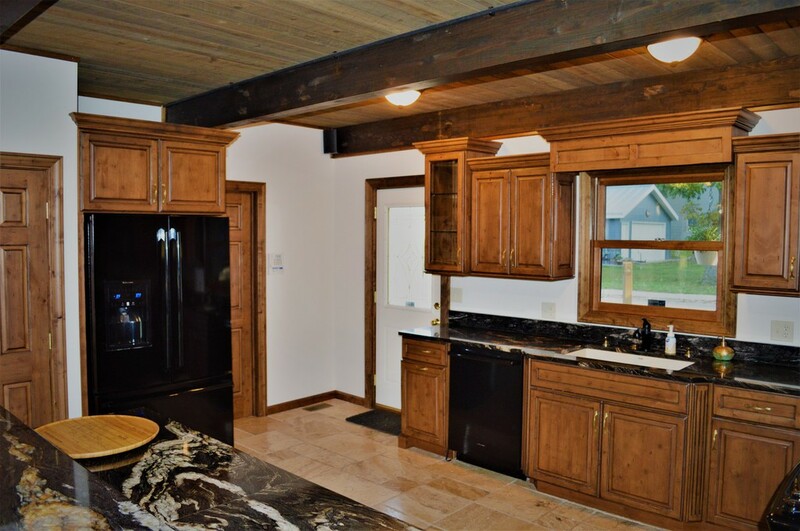 Recent updates include granite countertops in the kitchen, vinyl fencing professionally installed by R&C, decorative concrete curbing around flower beds, cabinet lighting, and plug ins added above the cabinets. All the closets have closet organizing systems installed with the master being a huge walk in. Don't forget to check out the pass through hamper from the master closet to the laundry room. This helps make laundry time just a little more enjoyable. This home also comes with plenty of closets, built in storage, and a floored attic to nicely tuck away all those seldom used items. You can choose to enjoy those summer days chatting with the neighbors on the front paver brick patio or if you enjoy privacy the back yard is perfect for you. Not only do you have an amazing pergola with sun shades but you have the perfect backyard setting. NO NEIGHBORS! Enjoy the view of the pond and the endless cornfield instead of the neighbors dog barking. Morning coffee will never taste so good. If you choose to add a hot tub just drop it and plug it in. The owners have already added the power box. If its a little too cold outside go ahead and sit in the conservatory room and enjoy the wall of windows and the cozy fireplace. The sellers are the original owners and had the house wired for surround sound. The floor plan will show you all the locations of the wires if you choose to add the speakers. If you are into the outdoors this house is in a great location. You will be close to the Fort Wayne Trail system, the YMCA, many ACRES land trust properties, and the new Huntertown park/dog park. The house also has a 2 1/2 car garage to help with all the lawn care items while still being able to get the cars in. All of this can also be yours for $0 down on the USDA loan program. Click on photo for link! This is one you don't want to miss! This remarkable home has been well taken care of. It is also situated on a dead end cul-de-sac on the tree lined streets of the Old Brook Farm neighborhood. Recent updates include maintenance free and energy efficient windows. 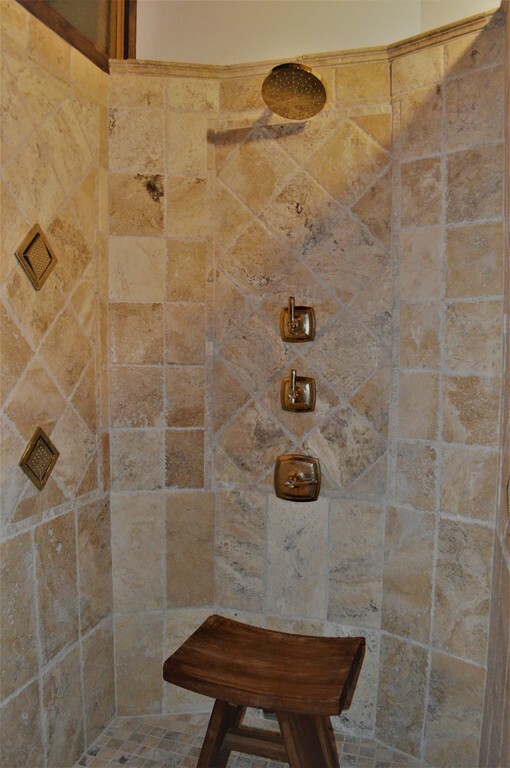 The owners designed the home to have a HUGE master bedroom with its own private bath. This 3 bed 2 1/2 bath home is almost 1800 sf and should check most of the items off your want list. The amazing fireplace includes a gas log so you get the beauty without the cleanup. If you prefer the real thing then just remove the gas log for a traditional fire! For those who worry about the possibility of a long power outage this home comes with a whole house generator to ease the mind. If the power goes out it automatically kicks on and will run until the power comes back on. It is also conveniently located close to shopping, great dining, and 469. That helps you be anywhere in Fort Wayne in just minutes. Don't forget that this neighborhood is located right across the street from the new YMCA. Close enough to walk or ride a bike. This home will be available for immediate possession. Make sure to put this one on the list of must sees. Click picture for detail. 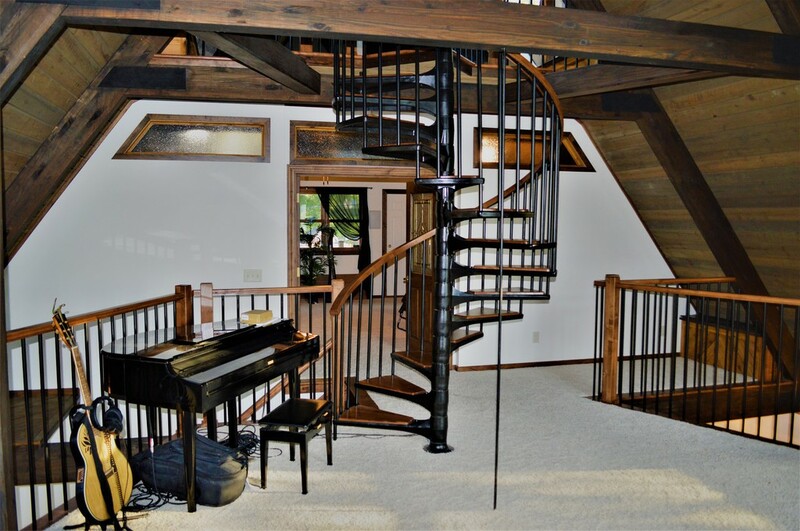 Absolutely stunning, year round lake home just steps from Lake Wawasee. The entire house has been remodeled down to the studs. The pride of homeownership shows in this amazing house. The most recent remodel projects include the kitchen, master bath, and huge master walk-in closet. Beautiful new appliances, eye catching backsplash, quartz counter tops, and custom cabinets in the kitchen really make this a place you are going to want to spend some time. 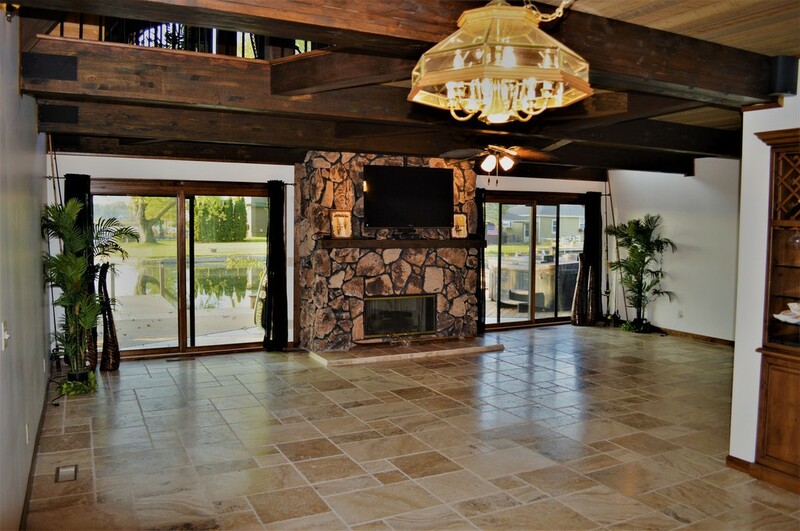 The open concept floor plan is perfect for entertaining company at the lake. The bedrooms are large with plenty of space in the multiple walk in closets. Life at this lake home comes with lots of storage for all the extra toys: 2 car garage and an additional 16' x 20' insulated garage. The large lot is perfectly landscaped, and the long 75' concrete drive provides plenty of parking for friends and family to visit. Enjoy the beautiful evenings around the fire pit in the secluded backyard. 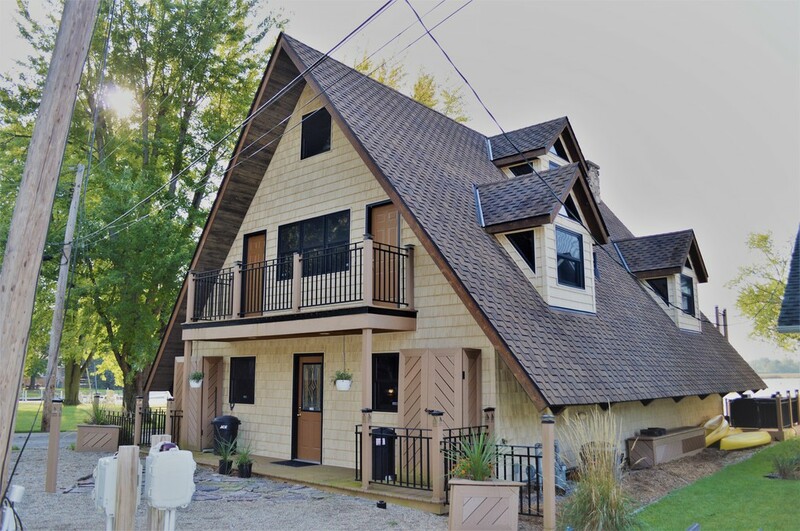 This property comes with 35 feet wide deeded access with a newly updated pier. You could easily fit three boats side by side in your space. The best part about the boat dock area is that it is in a bay off the main lake. There is no worry about a long channel ride or going under bridges. 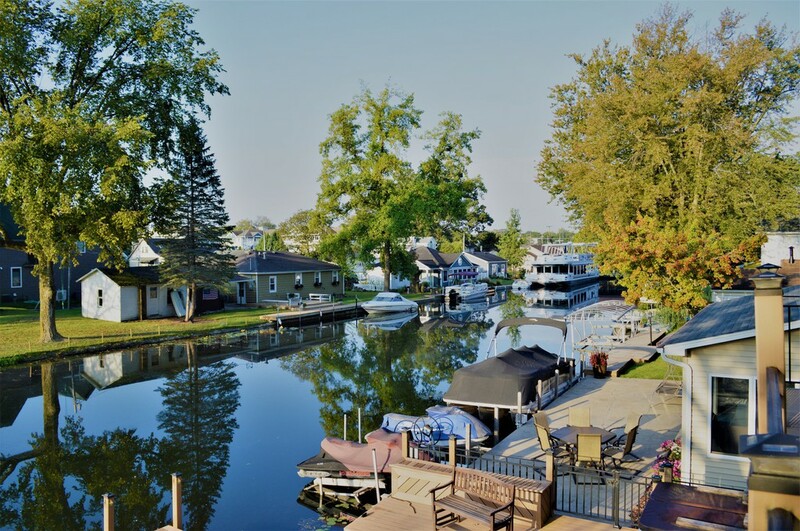 It is the perfect opportunity to be on an amazing lake at a fraction of the cost. Right next to the house there is the beginning of a walking/running trail that takes you to a local park, nature preserve, and golf course. You will be just a short trip from farmers market, fantastic local dining, and tons of great summertime activities. The only thing you will regret about lake life is that you didn't do it sooner!!! Come check out this Amazing 2 bedroom 1.5 bath home on a full basement!!!! This property is located in the country just outside of Hoagland Indiana. 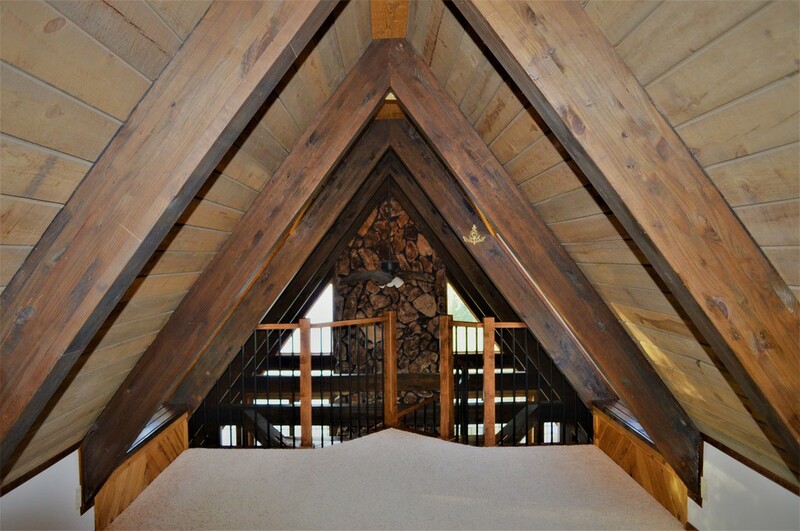 The spacious master bedroom features a tongue and groove ceiling that was recently installed. Take the worries out of homeownership with updated windows, water heater, furnace, ac, and roof. The recently installed kitchen floors go great with the new appliances. The basement is equipped with a full kitchen and a large rec room for hours of enjoyment! This beautiful property also comes with a 3 season room to relax and enjoy those amazing country sunsets!!! If the 2 car heated garage is not enough area for you then maybe you prefer the large 20 x 12 shed that has electricity for the perfect little workshop. The house also has a generator hookup so you can easily attach a portable generator to run the necessities when the power goes out. You should never run out of storage with this home since the basement and attic areas are full of it. The best part is that you can live in the country without the worry of a septic system. This is your chance to have that house with a little land at a reasonable price!!!!! MOVE IN READY! 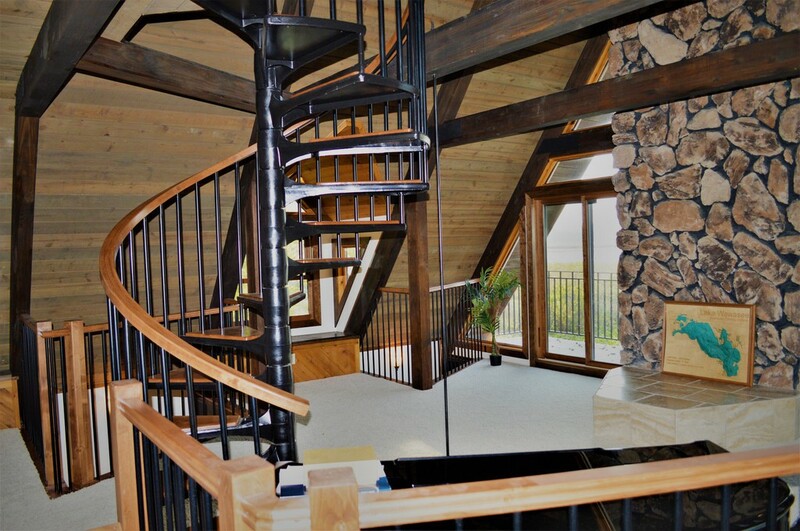 This Heller built home is a one owner that has been meticulously taken care of from day 1. Neutral colors through-out home. Basically appears like a new house despite being 6 years old. There are tinted windows in great room to help with light and temperature control. Beautifully professional landscaping done around the entire house and small area in back of property. A 16x22 wood deck provides privacy and a great area to watch sunsets. House includes lots of storage in the basement and includes the cabinets in the garage. Whole house humidifier installed 2 years ago. Battery back up sump-pump in the basement for extra coverage-Watchdog Waterproofing. 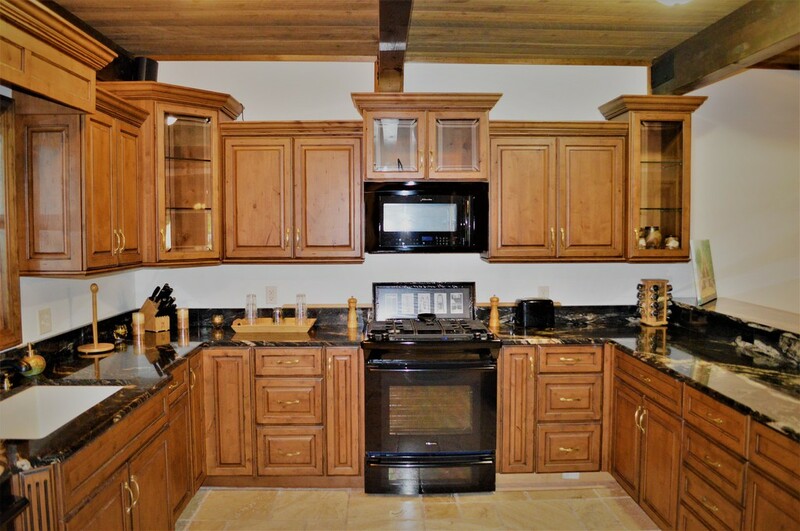 Custom Grabill Cabinets in the kitchen. Award wining Southwest Allen County Schools. Basement provides 2 large rooms and 1/2 bath with 9 foot ceilings for a great entertaining space. Association pool is also within walking distance. Close to Jorgensen Y and Aboite trails. Absolutely amazing! The owners of this house have completely updated this already fantastic home. If you are looking for the perfect turn key home then make sure you put this one on the list of must see properties. The entire house has been repainted. This includes the doors and most of the exterior trim work. Even the interior trim was stripped and painted for a more updated look. The privacy fence was painted was also painted and provides great protection for children or pets. Next they replaced all the old carpet and added new dark bamboo flooring in the dining area. The furnace, air conditioning, and water heater were all replaced in 2008. The kitchen sink, counter tops, and all the faucets in the house have been replaced. 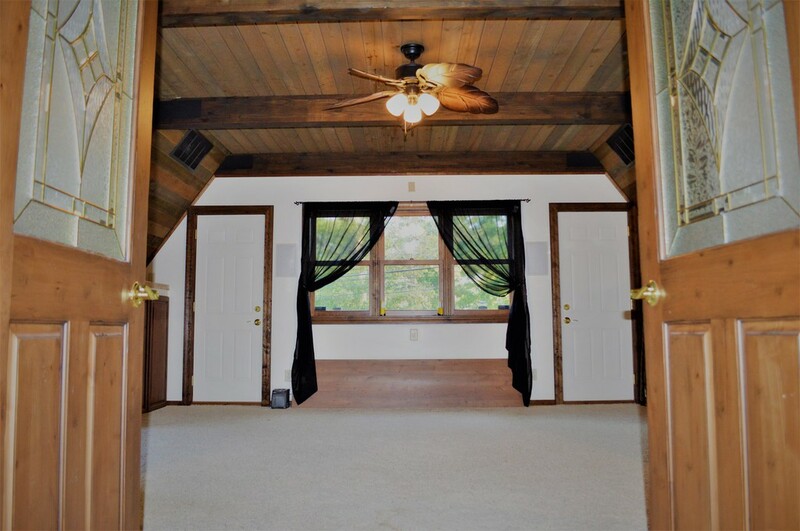 This home also features a wood burning fireplace in the great room and ceiling fans in all the bedrooms. The house is located in an award winning school system, minutes from the YMCA, and near some of the greatest trails around. The property is also located close to 69, amazing shopping, and fantastic dining. Since it is located on a dead end portion of the subdivision it assures the traffic will be light. The only thing this house is missing is you! A property as amazing as this rarely comes on the market. 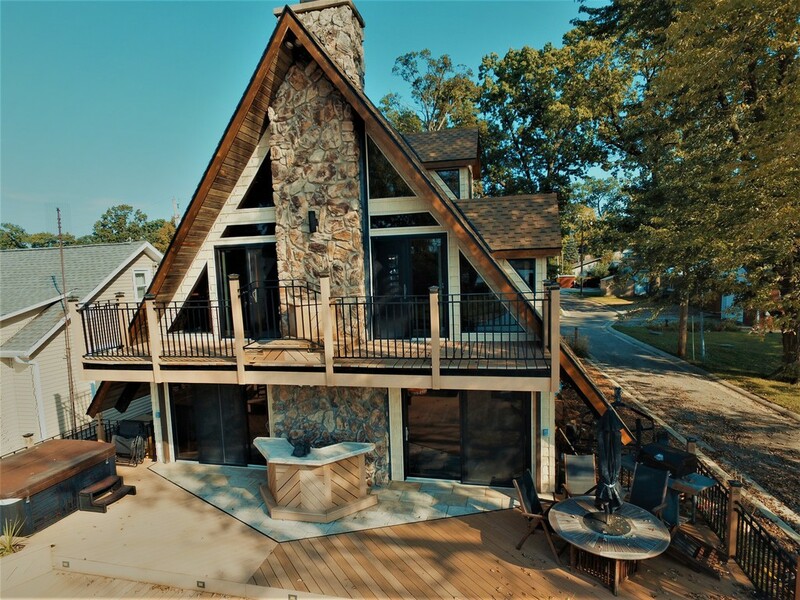 This custom built Zuber home includes over 2.7 acres, a full finished basement, pole barn, stocked pond, and an amazing above ground pool. The house has many updates including paint, new stainless appliances in the kitchen, and the basement has all new ceramic wood plank flooring. The large eat in kitchen has tons of counter space and plenty of storage. The walk in closets are enormous and are fitted with professional grade organizers to keep things where they go. The home also features tons of pocket doors to maximize the use of space. The well is a constant velocity unit for great water pressure no matter how much water you are using. The spacious master and basement entertaining area are both wired for surround sound. 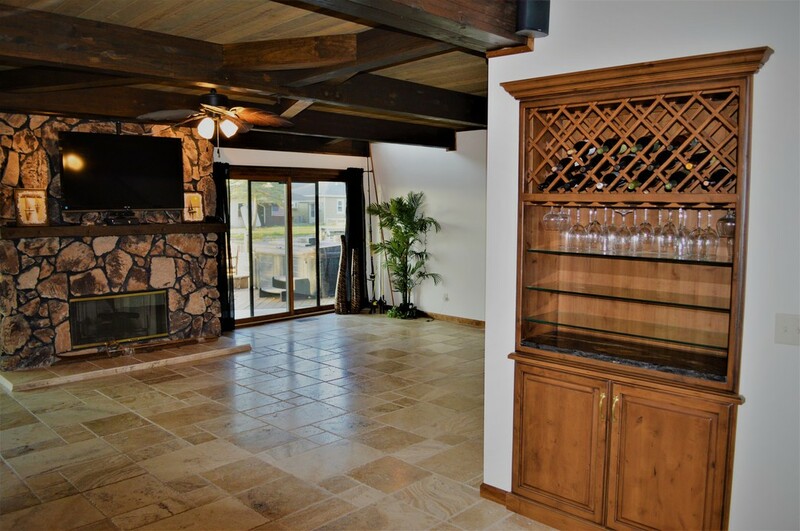 The basement includes a great bar/kitchenette area that is a must for large gatherings. Also a great addition is the very energy efficient geothermal heating and cooling system. This will help keep the bills low in the winter and summer. The previous owner had tons of professional landscaping done that makes the property look amazing. The pole barn is 40 by 64, features cement floors, and is the ultimate storage space. The pond is fully stocked with several species of fish and has a windmill for aeration. Put this one on your list of must see houses!!! Click on Picture for details!!!!!!!!! Custom built Meritworth home in a great area! If you have a client looking to build but doesn't want the hassle then look no further! This house is like new. 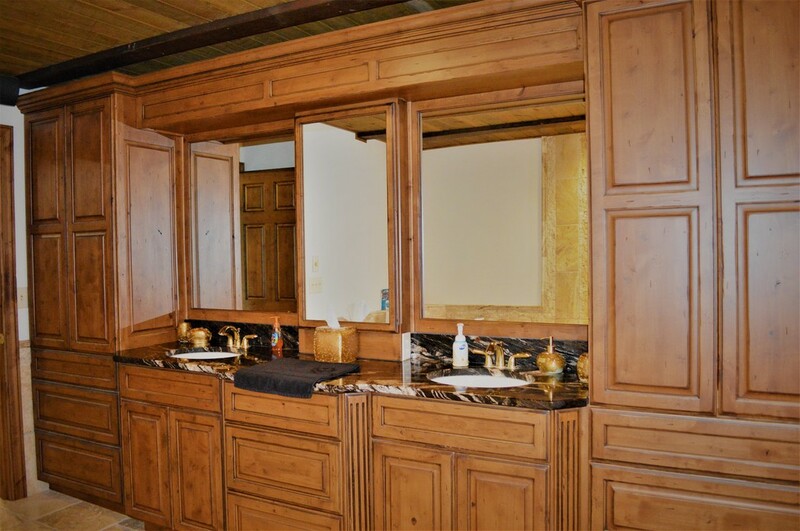 It also comes with many upgrades such as custom built maple cabinets and bathroom vanities. All the custom molding is made out of poplar so it will stand the test of time. The windows are Atrium vinyl windows with low e and argon gas for greater efficiency. The house also features mature landscaping, exterior accent lights, solid core doors, rounded drywall corners, built in glass bookshelves, and arched openings in the hallway . During the building process the house was wrapped and spray foam insulation was used in all exterior walls. The builder also had the interior walls between the living and sleeping areas insulated to cut down on the noise. All the closets and storage areas were outfitted with shelving from closet and storage solutions for great use of space. The builder also added ceramic tile, a vent free gas fireplace, and brick to the front of the home for more appeal. This home is ready to go and immediately available to the new owner. Click on pictures for details. Amazing country property for an affordable price!!!! This spacious ranch home features an open concept design, hardwood floors, tankless water heater, and plenty of storage options. The detached workshop is the homeowners dream. 500 square feet of infinite possibilities. No worry about filling it up with lawn equipment because the owners have added a 12 x10 shed to store all your landscaping needs. Get your summer started with the fantastic in ground pool complete with diving board and storage pool house. Perfect way to beat the heat in these hot Indiana summers. They recently added a new privacy fence around the pool to help block out those unwanted visitors. The homeowners are offering the basic HMS home warranty with an acceptable offer. Its a great way to take the worry out of buying a home. The homeowner also wired the living room, family room, and outside pool area with a speaker system for enjoyment of your favorite classics. They also added a nice new cement patio out front for lounging with that morning cup of coffee while gazing out over the open fields. The county has started the process for bring a sewer system to the houses in the area. This will alleviate any concerns in the future about owning a house with a septic system. Documentation can be provided if needed. The large 1 acre lot will provide you with plenty of space for the outdoor recreational activities you enjoy. Why live in a subdivision when you can own your own little slice of paradise! Click on picture for details. SOLD IN 24 Hours!!!! Multiple offers!!!! Come check out this completely updated 3 bedroom 2 full bath home! Owner pride shows throughout. New hardwood look ceramic floors were added in the living and hall area. You get the wood look without the worry of scratches. Perfect for pets. The kitchen has been updated with new paint, updated pulls on the cabinets, and a beautiful tile backsplash. A new fence was recently installed that lines the entire back yard. If you are looking for a home where you can host the back yard family get together then this one is for you. Huge shade trees keep you cool as the summer heats up. Owners have also recently replaced the garbage disposal, garage door opener, and updated the landscaping. The home is also close to 469, shopping, and great places to eat. The owners want to take away that stress that comes with buying a new home so they are offering a HMS home warranty with the purchase of this beautiful property. Come for your own private showing today!!!. Fantastic new listing in Hunters Point. Close to dining and shopping. This house is situated on a cul de sac so it is a very low traffic area. The master suite and the second bedroom both have walk in closets. The main living area features cathedral ceilings and a fireplace that is ready at the flip of a switch. Enjoy your back yard bbq with a cement patio and a privacy fence. No need to worry about the kids since they will be on the great play set that stays for the new owners. Set up your private showing today! Amazing new listing with a basement in Southwest Allen County School district!!! This listing has over 3000 finished square foot of living area. Located close to shopping, the southwest YMCA, dining, and a fantastic trail system that will take you all over the city. Not only is the back yard already huge but the home backs up to an undeveloped area so your patio is very private and peaceful. This home has been very well maintained with the owners adding new hard surface counter tops, a roof, carpet, and a coat of fresh paint to the front of the house since they moved in. Storage is not an issue with a large area in the basement that is currently used just for this purpose. 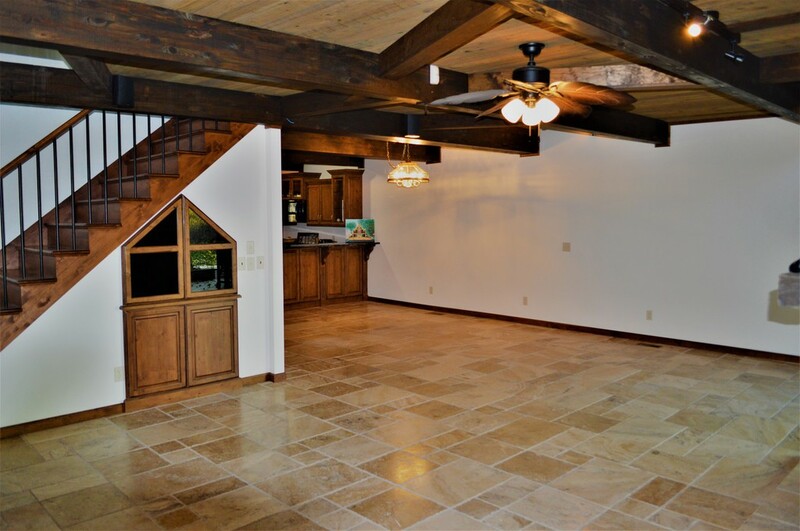 The basement is also a great place for entertaining since it has two large rooms and a mini wet bar. 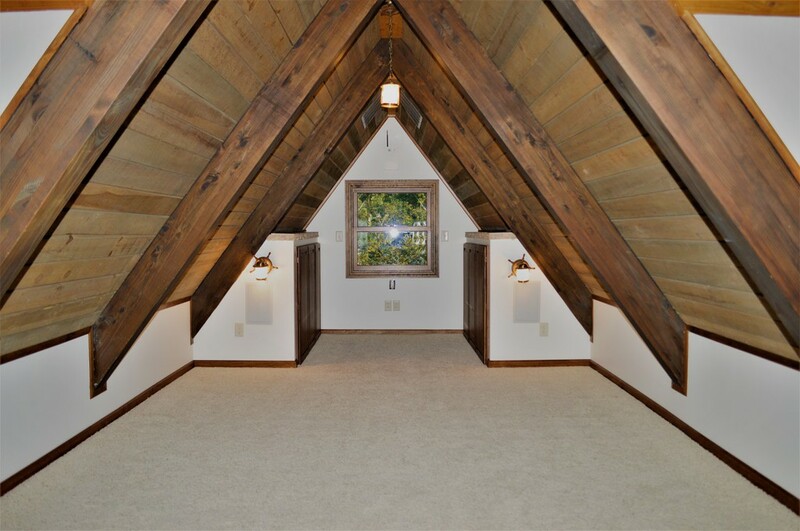 There is also a loft that would be the ideal spot for a little home office. Come take a look today and see why people love to call the southwest part of town home. Contingent offer accepted. Pending 48 hours multiple offers!!! Sold! Fantastic new listing in Huntertown! This is the home you have been waiting for. This listing features a master suite that is on the main floor, an expansive open concept living area, engineered hardwood floors through most of the first floor, and a large loft area to satisfy the need for a second living area. 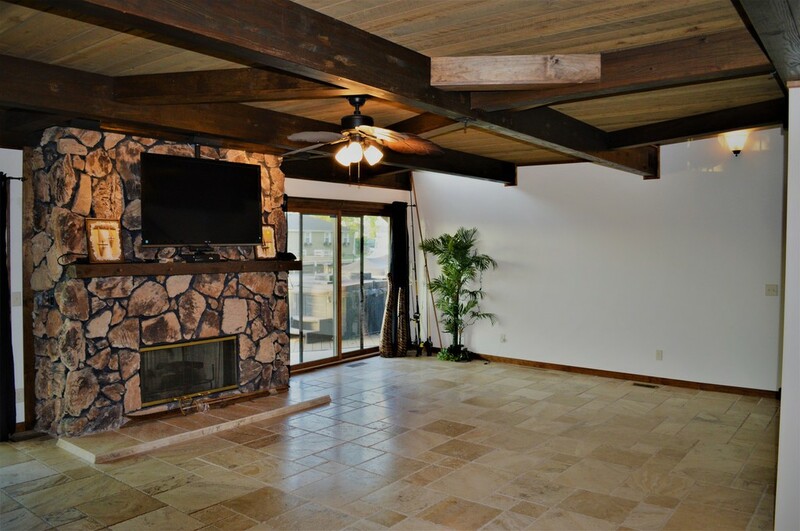 Above the fireplace is the perfect place to put the television and all your electronics that go with. If you are in need of exercise for the pooch there is a fenced in dog park right before the entrance to Towne Square. The first floor office area could also be used for a fourth bedroom. This house is over 2100 square feet of living space but feels much larger. Let the light shine in or completely block it out with the fantastic plantation shutters that are in the main living area. Current owners have used a lawn service to keep the lawn weed free and very sharp looking. Don't forget that this home also includes a 3 car garage with extra work area in the back that could be used for all the lawn equipment. Security is not an issue with the monitored security system that the owners had installed. There is also a screened in covered patio in the back to enjoy those warm summer days. This home is in the highly sought after Northwest Allen County School district. Schedule you private showing today!! Come check out this beautiful home that provides everything buyers are looking for in their search. Almost 2200 square foot of living space and a 3 car garage! The master is on the opposite side of the house from the kids for a peaceful nights sleep. This house also has four bedrooms and 3 FULL baths. 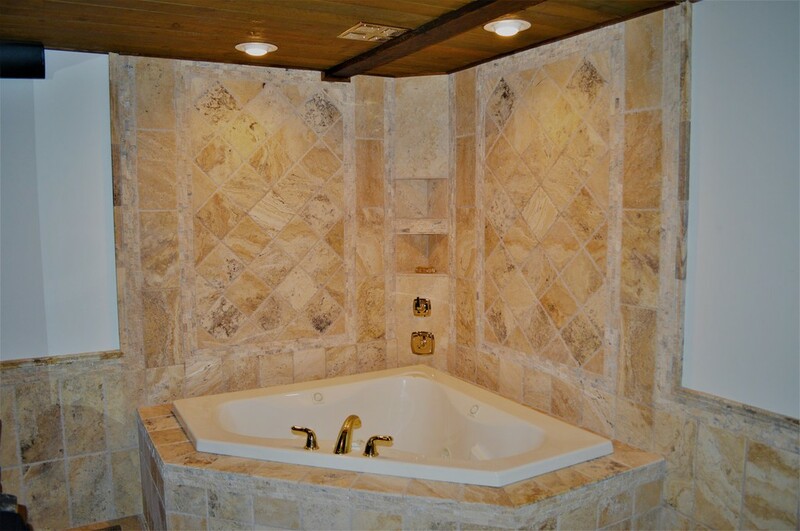 Add that to the huge master suite with separate jetted tub and shower. The master bedroom also has 2 closets. One is so big that it could be used for a babies room or an office. All bedrooms are equipped with ceiling fans for a comfortable nights rest. If separate dining and living area are a must for your family that is not a problem with this fantastic home. Do you have animals that need a little room to run? Check that off the list! This home also has a half acre lot with a fenced in back yard. This is a bank owned property so it could be a great opportunity for a person looking to flip or for a family looking to add a little sweat equity!!!!! Come check out this home today. Delagrange Built home with newly finished daylight basement!!!!! Basement was finished off in 2013 to add an additional 978 finished square feet to this already spacious home. Also in the desirable Leo school system. This 4 bedroom home also has ceiling fans in each bedroom for a relaxing nights sleep. Don't forget to enjoy the large garden tub after a hard days work! Master also has his and her closets, double sinks, and trey ceiling. It also has an oversized two car garage to take care of the extra storage you need. 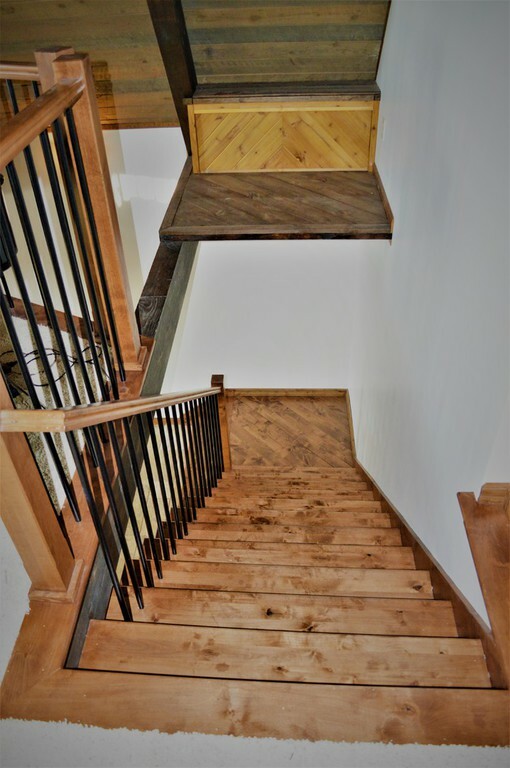 Don't worry about storage though because there is pull down attic stairs with a large floored storage area. Make your appointment to see this fantastic home today. Country living at its finest!!! This home has it all. 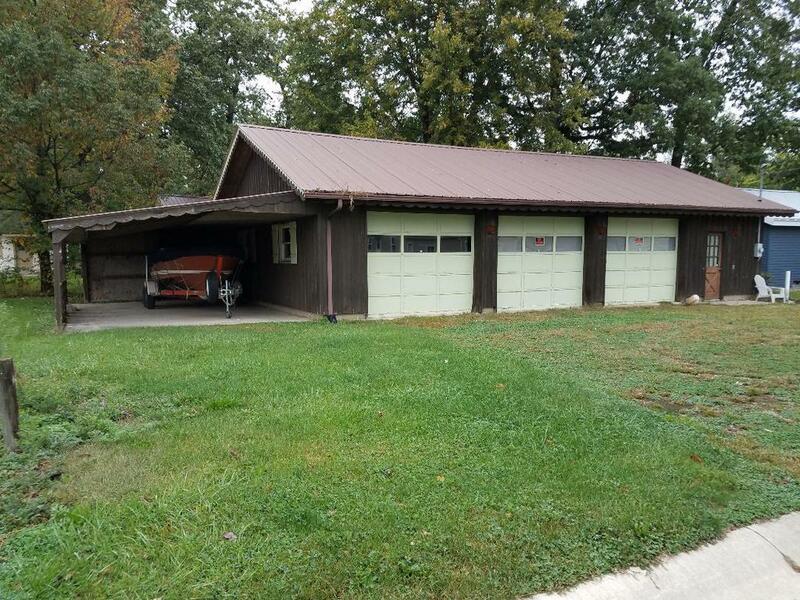 Updated ranch with a full basement and four car garage. Don't worry about the power going out with this one because the generator automatically kicks in when service is interrupted. It is also only a year old. Oak hardwood floors in all of the bedrooms. Multiple sources of heat with the propane insert in the living room and the wood burning insert in the basement. This home is also a nature lovers dream. The woods that surrounds it is full of wildlife. Spend your free time enjoying a campfire with the family, or create some trials to ride the atv's. A beautiful row of pines in front of the home provides the privacy that is sought after in the country. The basement also has a separate shop area with a workbench that stays with the new homeowner. Workbenches in garage also stay with the home. Storage is also not an issue with this home since the basement is full of it. Come check out this beautiful property today! Click on picture for link to listing!